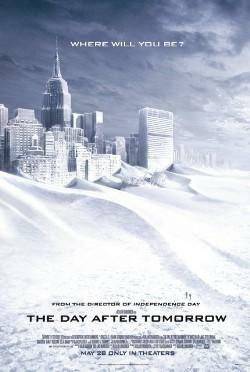 What do you think about The Day After Tomorrow? A definitive environmental film (overlooking some of the obvious scientific leaps), this science fiction epic ($500 million) captures the essence of climate change possibilities. Although warming is the scientific consensus, cooling could be just as catastrophic. Regardless, climate change due to human contributions of emissions to the atmosphere should be taken seriously. We cannot dump unlimited quantities of gases into the 100 mile atmosphere without consequence. Mankind and womankind are global managers. Since leaving the garden, we are responsible for controlling human and natural conditions in our atmosphere. Our oceans are also a big part of this equation. The movie has the geeky black nerd, the genius son and the love interests. Another climatologist brother is in an interracial marriage, but he dies. Now the scientist might debate climate science in this movie, but the father walking from Philly to New York in a snow storm is Hollywood at its best.